San Francisco is one of the most well-known places in the United States. There are many things to do in San Francisco, as it is the business and cultural hub of the US West Coast. The world-famous Golden Gate Bridge spans the San Francisco Bay. People won’t start and conclude their visit to the city without having pictures taken with the well-known bridge as their background. Hop in San Francisco’s famous cable cars while exploring the city sights, visit the art museums and historical landmarks, dine, shop and have great nights out on the town. You may not want to miss a visit to the Napa Valley, a small area near the city that produces some of the world’s finest wines. It also boasts a peerless, beautiful landscape, and what could be a better way to appreciate it than doing it via hot air ballooning? Napa Valley’s tourism peak is usually in the spring and summer. Tourists can be found visiting the thriving vineyards and wineries, tasting the finest wines in the world, dining some of the world’s best cuisine, attending festivals and concert events. You will be able to do a myriad of things in such a small area as Napa Valley. But the highlight of your San Francisco trip would certainly be the hot air ballooning. This is best done in an early morning sunrise, where the atmosphere is clear and the winds are gentle. Viewing the beautiful landscape from the hot air balloon, you will be amazed at the vineyards being gradually bathed by the glow of the sunrise, and everything will appear small. This is also a perfect way to escape all the maddening crowds of tourists and the noise. Riding on a hot air balloon during early sunrise also gives you a feeling of peace and tranquility. You feel like you’re really flying up in the sky and touching the heavens. The overall natural beauty that Napa offers will give you a sense that you’re really one with nature. Pre-flight breakfast consisting of coffee and pastries, hot air balloon ride, post-flight brunch with champagne. 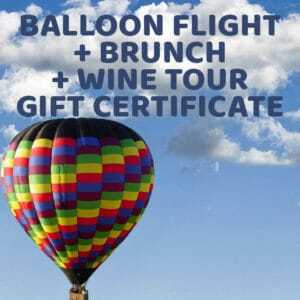 Visit to the wineries, wine tasting, picnic-style lunch, transportation, and hot air balloon ride. A two-day package consisting of limo transportation with on-board breakfast and mimosa, visits to Napa and Sonoma wineries, wine and olive oil tasting, picnic-style lunch, pre-flight pastries, hot air balloon ride, post-flight brunch with champagne, ferry transportation. There are also other options including a drop-off to Napa public markets and shops, depending on the visitor’s wish if they want to have a last-minute shopping before leaving Napa. 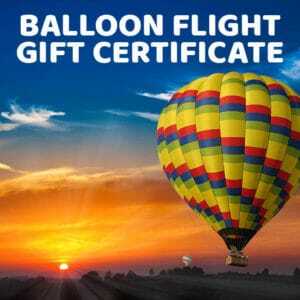 This package is for visitors who may not wish to ride on the hot air balloon. It includes a pre-flight pastries, and post-flight brunch with champagne. The other persons or persons in their party will ride on the hot air balloon while they follow the balloon from the ground with BATV staff. Please note that BATV does limit its chase and brunch guests to one guest per flying passenger. 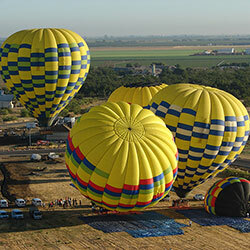 Balloons Above the Valley is one of the first companies to provide hot air balloon flights over the Napa Valley. You can also be sure of its top-quality customer service, satisfaction and safety as BATV is licensed to provide such flights.